As he said it, I knew it was true. He elaborated, saying the people that write these software packages sit in their fancy offices and concoct complex functionality. Few developers truly think from an operators’ perspective. Operators are picking products and scanning boxes all day on the floor. Product manages building WMS should spend time on the floor with their users, figuring out how to really make things better. It’s no wonder that nearly half of all supply chain IT projects fail due to lack of user buy in. When my company started conceiving its products, we were striving to change the game. We wanted to innovate. We looked to Tesla, which has created cars that are so revolutionary that it nearly sells itself, as an inspiration. In those early days, another customer, a vice president of operations, complimented our organization for a quick and problem free install. The CIO of the organization, meanwhile, critiqued us for not being ground breaking enough. He pointed to Google Glass and Tesla as prime examples of innovation. When I got back to Atlanta, I set up an appointment to test drive a Tesla at the nearest dealership. I took pictures of myself in the car and sent them back to my customers. 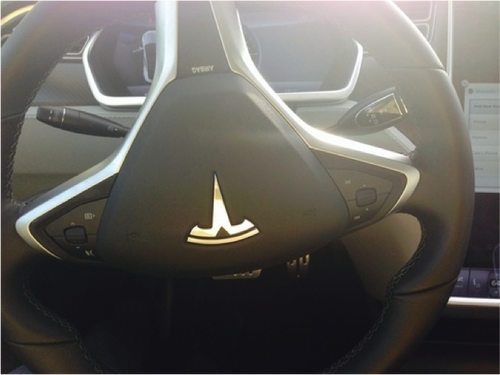 Behind the wheel of a Tesla. Next, I made my way to a pilot camp of Google Glass at the nearby Georgia tech. I even got to talk to Timothy Jordan, the Google Glass advocate from the company. 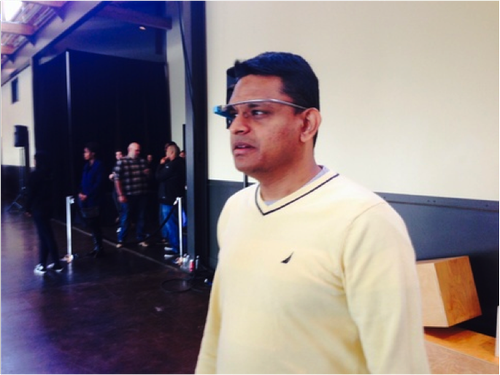 I got to tell him about our WMS product and ask him about how Google Glass could enhance our product. He helped us understand the ramifications of the technology, and he told us about micro interactions, and about how Google Glass and even the Apple watch are designed to leverage them. The technology enabled augmented reality that increases the effectiveness of people. It was exciting! Later, among-st ourselves, though, we decided not to get side tracked by Google Glass or Tesla. We decided to maintain a laser focus on what we were doing, and strictly adhere to the problem solving approach that we were taught in the Advanced Technology Development Center (ATDC) at Georgia Tech. We put our energy into making our current product better. Now, looking at how we’ve progressed, I believe we chose the best course. We’ve continued to enhance our WMC at a reasonable pace. People are adapting to our devices. The touch screen, while not a huge leap in terms of technology, addresses the reality of the operators who use the product. It helps them get critical tasks, from picking product and scanning bar-codes to moving boxes and sorting SKU’s, done. It helps them meet the performance targets (measured in picks per hour, boxes pulled per hour, boxes shipped, etc.). We get our customers more quickly to being ready to invoice customers, get paid, and pay their own bills. We are glad we did not over innovate and create a learning curve too steep for the distribution center operators who are our users. Imagine what would have happened, if we put in fancier technology that took a long time for people to learn. Our customers would have been less satisfied. These users need to stay in business and only technology that helps them meet their numbers is useful. They need that way more than impressive new technology. We had dodged a bullet. The traction we have with our customers is linked to how easy and quick it was for folks to adapt to our products. We had learned a big lesson on the dangers of over-innovating. Operations, not IT, is best suited to drive what technology capabilities are useful and needed. How do you manage these types of challenges in your supply chain? How do you effectively bridge the gap between the IT support experts and the operations users? Let us know in the comments section below.